Photo of Storyville on Huntington Ave via MIT Librairies. In 1950, George Wein, young, out of college, and out of work, opened a jazz club in a rented room of a hotel in Boston’s Kenmore Square. Wein’s Storyville would go on to become a fixture in an already strong Boston jazz scene. 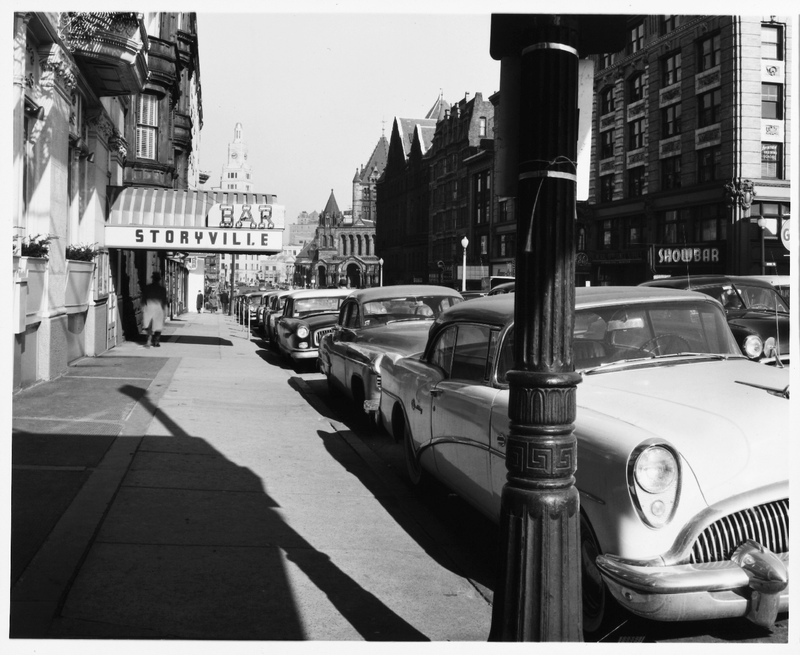 Fed by homegrown musicians, including Roy Haynes and Johnny Hodges and graduates of the New England Conservatory and Schillinger House (prequel to Berkless), including Sam Rivers and Charlie Mariano, the city supported a row of jazz clubs on Mass Ave in the 40s and 50s. The first of these venues, the Hi-Top, had been followed by a string of others which achiever greater and lesser degrees of fame, including Roseland, the Savoy Cafe, Eddie Levine’s, and Wally’s Paradise. Jimmy [McPartland] and I were in a house band in Boston at this hotel, called the Buckminster Hotel, in Kenmore Square. George had the hotel and in the basement as a jazz club. That’s where I remember meeting Dave Brubeck and Ella Fitzgerald. I had met Sarah Vaughan in Chicago and Dizzy Gillespie and so on. All of this was feeding into the computer, me! This is how I learned to play. In those days there was no jazz education. A number of excellent role models recorded onstage at the club. 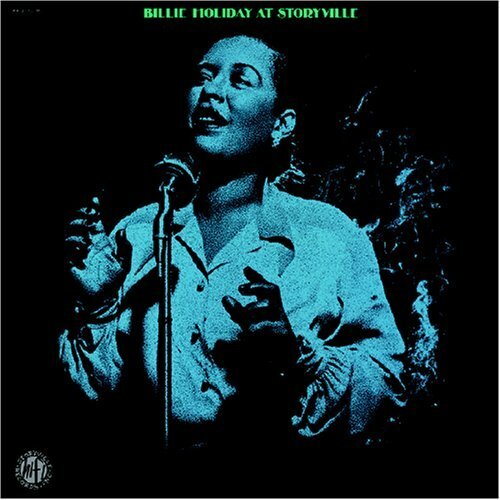 The album Billie Holiday at Storyville draws on sets recorded between 1951-1953, including a week of bookings with saxaphonist Stan Getz. Today, a Pizzeria Uno fills the site of the former jazz club, but George Wein, who organized the very first Newport Jazz Festival in 1954, has continued on to a career of music promotion now into its seventh decade. Listen to a great show of jazz from 1940s and 50s Beantown. This entry was posted in Music&Art and tagged Billie Holiday, Boston, George Wein, Jazz, Music&Art, Storyville. Bookmark the permalink. Can you tell me how and where I can get a copy of this photograph? Thank you. “MIT libraries” in the caption is a link to the source.